George Hollingbery made the remarks as he gave evidence to the Commons Scottish affairs committee yesterday. Questioned about chlorine-treated chicken or hormone-injected beef being allowed into Britain, he emphasised the UK brand overseas was associated with “top-level quality”. “We will not be lowering our standards,” he told MPs. “Our standards include those which apply to imports. “It would be commercial madness for us to drop those standards. SNP MP Pete Wishart, who chairs the committee, asked whether the government would reject a free trade agreement with the USA to maintain standards even if it “looked favourable on a whole range of issues”. 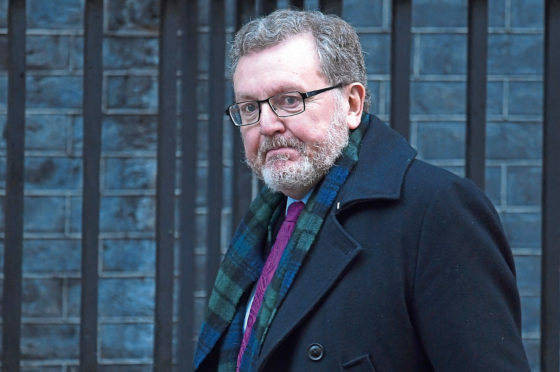 And Scottish Secretary David Mundell insisted he could not see the UK Parliament agreeing to allow chlorine-washed chicken to come into Scotland or the UK. Mr Hollingbery was also asked about how much involvement the Scottish Government would have in trade deal negotiations going forward. He said its proposal to be able to grant consent in certain areas to the UK attitude to free trade agreements was “not on the table and will never be” because the UK single market had to be protected. But, he added, “at every stage and as deeply as is possible”, the UK Government should be taking the devolved administrations’ particular needs and attitudes into account.